Today, Friday 13 December 2013, the South West expansion of the Transport for London Cyle Hire Scheme goes live. The cycle hire bikes, also known as Boris Bikes, will be available in more Lambeth locations - primarily in the South Lambeth, Stockwell and Vauxhall areas: see map above. The expansion will bring the bikes within reach of more of Lambeth -previously the bikes were concentrated in the North of the borough, largely within zone 1- and makes the cycle hire bikes available to more Lambeth residents. New bikes located in the Battersea/ Clapham Junction and Nine Elms areas in Wandsworth will also be useful for Lambeth residents living nearby. Next May sees elections to Lambeth Borough Council and ahead of these we are preparing our campaign to ensure that the newly elected council keeps on making things better for cyclists on the roads its controls and through general council policy. We want to ensure that the council delivers on its pledge to make Lambeth the most cycle friendly borough in London. We are fortunate in Lambeth in that all parties on the council are broadly supportive of cycling. Whilst it is easy to sign up to a pro-cycling strategy it is harder when local decisions in favour of cycling have to be made often in the face of vocal residents who fear that their parking spaces will be removed or they will be inconvenienced on their drive to the shops as a result of cycle friendly measures. At our November meeting we were joined by LCC’s Amy Summers who ran through the broad LCC campaign ahead of the 2014 elections. She said that LCC in conjunction with the local groups will be developing ‘Ward asks’ for local improvements which members will be contacting local prospective councillors to gain support. Although still open for discussion we maybe will be developing this to have several ‘asks’ for each ward as well as broad Lambeth-wide asks reflecting the council’s cycling strategy and the borough-wide 20mph zone and safe routes to schools. Anyone who has cycled around the Oval tube station in the North of Lambeth in recent weeks will have noticed the road resurfacing works being undertaken. The results of the resurfacing have made the situation worse for cyclists as cycle lanes appeared to have been be arbitrarily removed. Here Lambeth Cyclists member Mark Knox explains his frustration at the situation. At the end of October there was resurfacing work around the Oval junction. 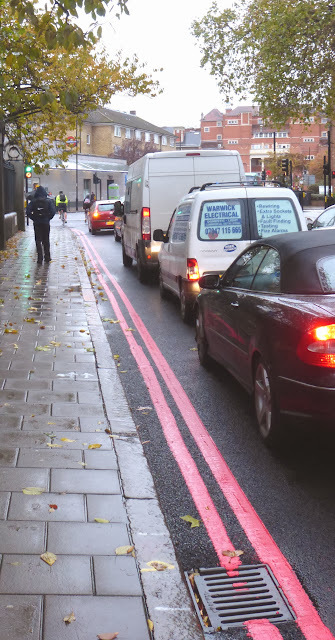 Some of us then noticed that although the red route markings, the lane markings, and the Advanced Stop Line boxes had been immediately reinstated, a vital cycle lane, on the short section of Brixton Road linking Camberwell New and Kennington Park Roads, had not. This was a very useful facility, allowing cyclists to safely reach the ASL at a difficult junction and to position themselves carefully to deal with the chaotic traffic conditions on that road - especially important if heading towards Elephant and Castle. Without it, and with the traffic on this section usually either solid or speeding, things were suddenly a whole lot more dangerous. Several of us began to try and find out what TFL thought it was doing: not an easy task. However much burrowing you do on their website, it's not obvious where such questions should be directed. Waiting, if you have the patience, to talk to their customer service helpline, doesn't make things any clearer and responses to our emails were confusing and unhelpful. After three weeks we still didn't know if they planned to reinstate the cycle lane, and if they did, when, or if they didn't, why not. Then, after nearly four weeks, we had this response: "we have listened to the concerns raised by cyclists using this route and the decision has been made to reinstate the markings as per their previous layout". 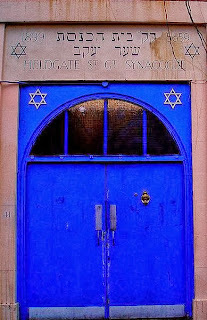 So - a campaigning success, and thanks to all who took the time to follow this up. Questions remain: How can TfL so casually remove vital cycle facilities without any consultation? And why is it so difficult to get a straight answer from TfL? If they make a road more dangerous, surely they should have some way to deal more rapidly with the concerns of those they have put in danger. At the beginning of November 2013 a barrier (photo right) appeared at the top of Meadow Road opposite the Oval cricket ground on London Cycle Network route 3 which travels from Clapham to Waterloo along back routes. The effect of the ill-thought out barrier was to make it dangerous for cyclists and for pedestrians by reducing the space for manoeuvre. Unfortunately we have had to postpone Saturday's (30 November) Architecture Ride Railway Revival - railway stations new, old and restored owing to the ride leader having unavoidable commitments and so being unable to lead the ride. The ride will be rescheduled in 2014 - watch this space! 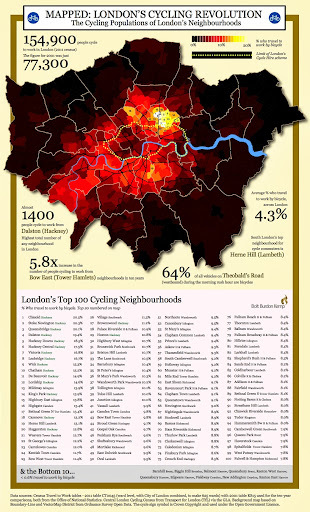 London Cycling Campaign Chief Executive Ashok Singha has contributed an article to the Guardian Bike Blog in which he demands that Mayor of London Boris Johnson makes changes to make London a truly cycle-friendly city. Shocked. Appalled. Angry. As a cycling campaigner you steel yourself for the news of yet another cyclist being killed or seriously injured in a collision with a motor vehicle on London’s streets. But the news of a woman being killed on the notorious Bow roundabout on Wednesday shook me. Maybe it was because it was the third such death at Bow. Maybe it was because the London Cycling Campaign has consistently warned the mayor that his ‘early start’ traffic lights are flawed. Or maybe it was because we have now seen five cyclists killed in collisions in our city in just over a week, with a spate of others being hit and now fighting for their lives in hospital. Unusually, this morning I woke up wondering when the next fatal collision might be. It wasn’t long before I received a text saying another cyclist had been killed late last night in a collision with a bus on cycle superhighway 2. This death toll is utterly intolerable. One struggles to imagine the pain of the bereaved family and friends. Why should the simple act of using a bicycle to travel to work, school or to meet friends carry with it such risk? Would we tolerate this if the same risks were attached to tube travel, or driving? This morning, Wednesday 13 November 2013, a woman cyclist was dragged under the wheels of a lorry, which appeared to be turning from Bow roundabout on to the southbound A12. This is the fourth death of a cyclist in eight days. We in Lambeth Cyclists, like many Londoners, are shocked and angered at what has been the fourth cycling death in just eight days. The London Cycling Campaign is calling on the Mayor Boris Johnson to take immediate action to prevent further avoidable deaths - first, by putting in place a safe design for Bow roundabout. LCC are holding a flash protest at Bow roundabout (Mile End Road, E1) tonight organised in response to yet another death at the failed junction, which still presents a totally unacceptable risk to cycling. 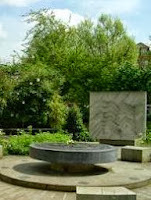 We will be laying flowers at the scene of the crash and then cycling around the roundabout from 6.30-6.45pm. We will be dispersing by 7pm. Barclays Hire bikes, aka 'Boris Bikes', will shortly be available in more places in Lambeth. Over the past few months Transport for London has been installing docking stations at various locations in Lambeth - centred on Stockwell, South Lambeth and Kennington. Cyclists from Lambeth and beyond have been protesting at the addition of new barriers on London Cycle Network Route 3 at Meadow Road, SW8 opposite the Oval Cricket Ground. 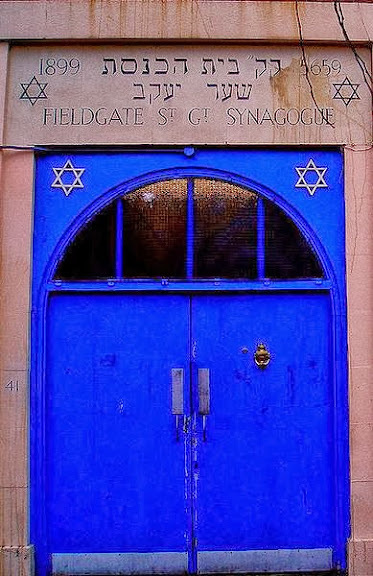 We have received several emails about this over the past few days from concerned Lambeth residents. The new barriers are located at the top of Meadow Road which has been shared happily by cyclists and pedestrians for many years. The new barriers squeeze the pedestrian and cyclist traffic at this junction through a 'chicane' type arrangement. This will inevitably lead to conflict between pedestrians and cyclists especially at busy times when significant numbers of people pass through this junction on bike and foot on their way to or from work or school. Local resident Danny Williams commented that he did not see how these barriers improve safety. He stated "Firstly, for people cycling into Meadow Road, you can no longer safely turn off Kennington Oval with enough speed to avoid any oncoming traffic because there is a fence in your way." He added "It is impossible for two people to navigate at the same time - try cycling through this with a child and at rush hour, this junction is fairly busy. You now have several people on bikes and pedestrians all fighting over a narrow scrap of pavement instead of having space to move safely around each other." 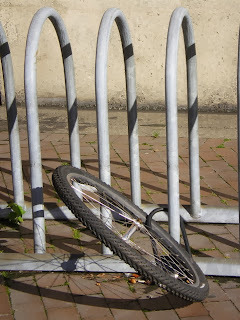 "I cannot see a single way in which these barriers improve safety. They certainly make it considerably less attractive and less safe to use route 3. If there is an issue here with cyclist speeds (and bear in mind there have been no barriers here for years and years), then a speed hump would do the trick." 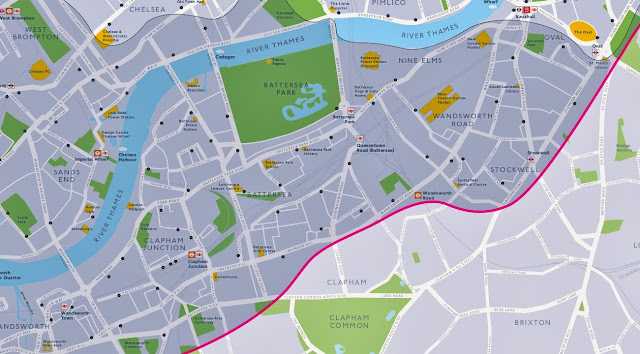 London Cycle Network Route 3, which runs from Clapham to Waterloo, is a route used by many cyclists as it travels along the backstreets rather than the busy A3 Clapham Road and A203 South Lambeth Road. Improvements to the junction are expected to be implemented as part of Transport for London's Cycle Superhighway 5 which passes along Kennington Oval - the latest plans for CS5 propose a shared use toucan crossing at this point to provide more space for pedestrians and cyclists. 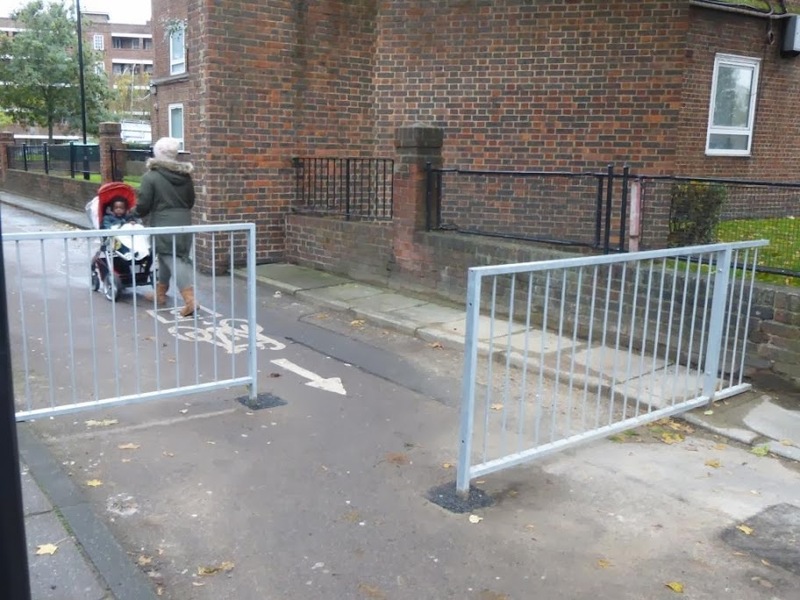 We at Lambeth Cyclists are concerned that these new barriers make the junction unsafe for pedestrians and cyclists and offer little benefit to either group and run contary to the aims of the Lambeth Cycling Strategy. We are in contact with Lambeth and will seek to clarify why this change has been made. 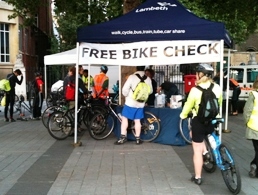 Come and get a free safety check and adjustments to your bike as well as information and advice on cycling in Lambeth this evening, 24 September 2013, at Kennington Junction, near to Oval tube station. The session will run 5:30-7:30pm. This is the last of the summer 2013 Dr Bike sessions. 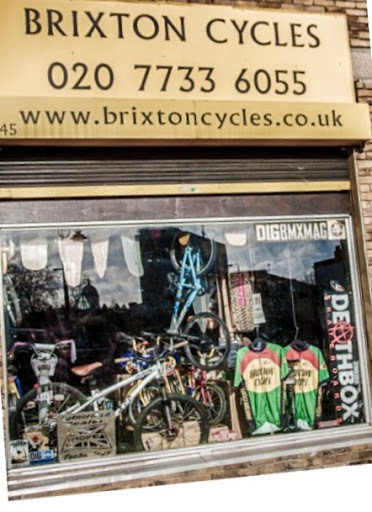 Lambeth’s Sustainable Travel Dr Bike team are offering check ups every Tuesday evening to keep your bike running on through the autumn and winter months. They will also have free gifts of lights to give out to the first 50 people at each session as well as information and advice. This Sunday, 22 September 2013, celebrate Car Free Day with the closure of Landor Road, SW9. Come along and see the busy through road between Brixton and Clapham transformed with grass on the street, bikes, food, music and much much more. The event will take place from 12-4pm with Landor Road closed all day. 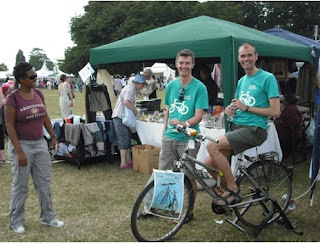 We will have a stall - come along to find out more about cycling in Lambeth and our work. This Saturday why not Ride the Tube? This Saturday, 21 September 2013, an exciting new event takes places: Ride the Tube is an urban exploration: cycle around London's tube stations to gain points and answer questions about London. Ride the Tube is an unusual mixture of urban orienteering and cycling in which riders will aim to accumulate as many points as possible by riding between tube stations. It’s a bit like the OMM Bike (previously Polaris Challenge) mountain bike events. There are points for each station, and riders have to come up with their own routes between them. The £25 entry fee allows you to ride in a team of up to five, or on your own. You’ll be given a ‘mascot’ when you collect your entry pack from Trafalgar Square at the beginning of the day, and as you make your way round the city you’ll check in at each station by taking a photo of the station, a bicycle, and the mascot. The points value of each station won’t be revealed until the start of the event, so participants will have to plan their strategy and route on the day. We’re willing to bet that Epping will be worth more points than Charing Cross, Brixton or Victoria though. As well as prizes for the top three on points, there will be mini-challenges through the day. Entry fees will all go into prizes and donations to charity. Half the proceeds will be split between three charities: London Cycling Campaign, Wheels for Wellbeing and Herne Hill Velodrome Trust. 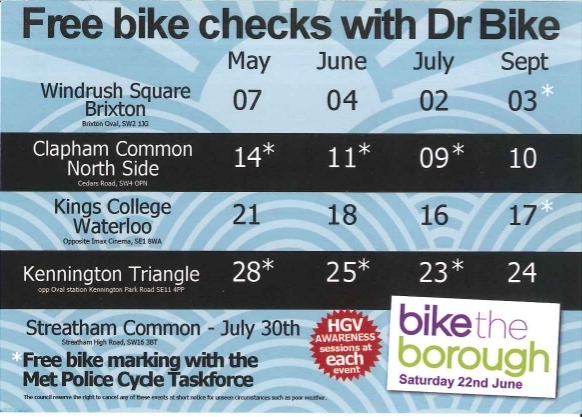 Come and get a free safety check and adjustments to your bike as well as information and advice on cycling in Lambeth this evening, 17 September 2013, at the Waterloo Roundabout, SE1 (outside Kings College). The session will run 5:30-7:30pm. 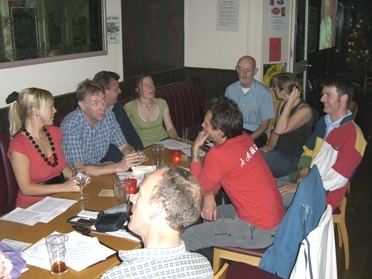 We hope you can join us for Lambeth Cyclists' meeting this Tuesday evening (17 September 2013) 7:30pm at the Effra Social. 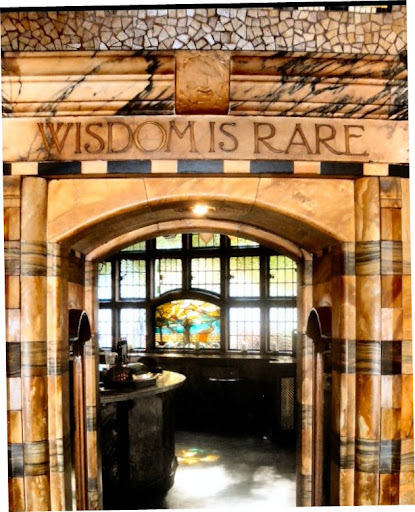 We are usually in the room to the right of the entrance or at one of the tables at the front of the pub, ask if you cant see us! 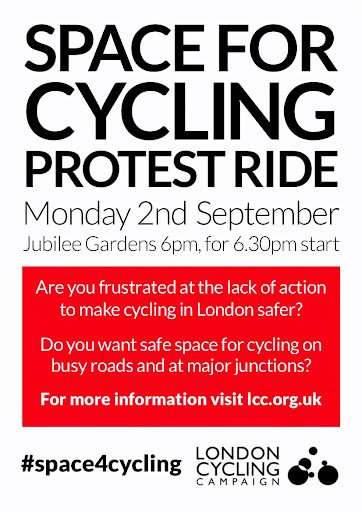 On Monday 2 September 2013 thousands of cyclists joined a ride organised by London Cycling Campaign to demand more Space For Cycling. The ride started in Jubilee Gardens in Lambeth SE1 and proceeded across the river to Parliament where MPs were debating the report Get Britain Cycling produced by All Party Parliamentary Group on Cycling. The procession, comprising over 5000 Londoners, chanted “Space for Cycling” while encircling the Mother of Parliaments – and inside many MPs also called for dedicated space to make cycling safe. 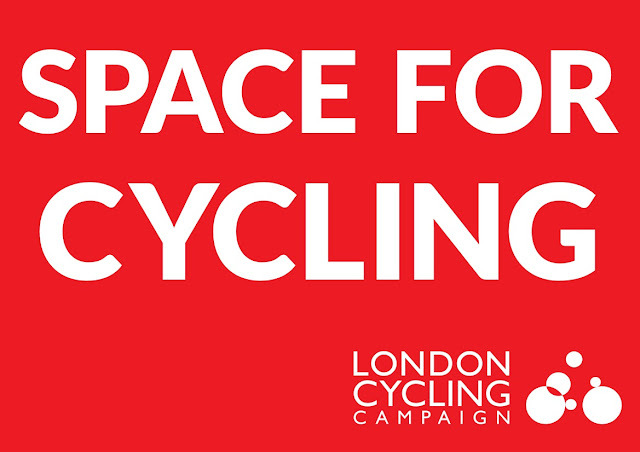 LCC will be working with other cycling organisations to take the campaign forward and ensure that Government at the national and local level delivers on the recommendations of the report. 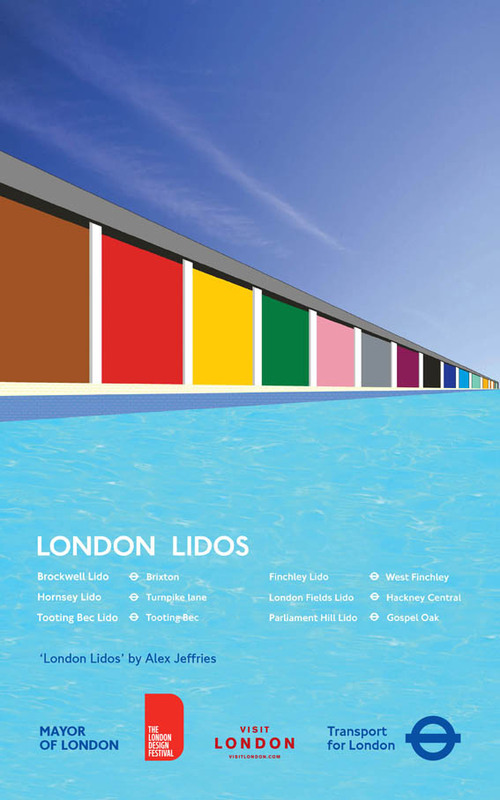 Join us this Saturday, 31 August 2013, for a leisurely ride around some of London's lidos starting with Lambeth's lido in Brockwell Park, Herne Hill. Bring swimming costume, Oyster card and bike! In the late 1920s London County Council, having built six lidos, offered London boroughs a subsidy to build their own. This resulted in the construction of 13 new lidos so that by the end of the 1930s London had around 50 lidos. Sadly many of these closed over the rest of the twentieth century until today when fewer than 20 lidos remain open. This easy going cycle ride will look at some of those that are still with us. 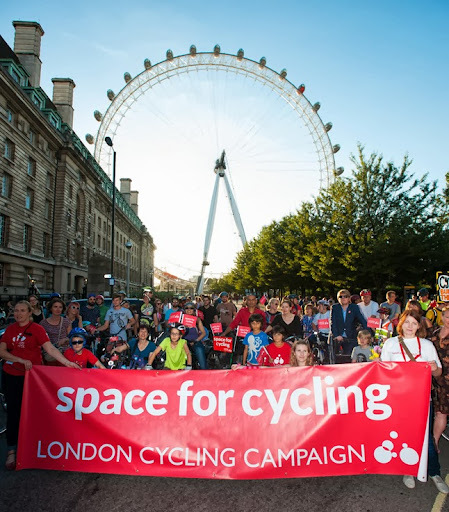 This Saturday, 3 August 2013, thousands of cyclists from across London will take in sights such as the Buckingham Palace, Trafalgar Square and St Paul’s Cathedral cycling around a traffic free route stretching from Westminster to the Tower of London. More than 50,000 cyclists are expected in central London for the Ride London Freecycle celebration of cycling. Lambeth Cyclists, the local borough group of the London Cycling Campaign, will be leading a feeder ride from the borough up to central London to join the main event. Everyone is welcome to join the free ride departing from Streatham Hill Station at 10am and calling at Clapham Common at 10:30 before heading up to central London via Cedars Road and Chelsea Bridge. The ride will be led by experienced cyclists together with a full team of marshalls and fully insured to ensure everyone reaches Ride London safely. A return ride will also be organised in the afternoon for those heading back to Lambeth. The feeder ride to Prudential Ride London will depart on Saturday 3 August 2013 from Streatham Hill Station, SW16 (bridge behind station) at 10am and from the Bandstand on Clapham Common, SW4 at 10:30. Everyone is welcome to come along on the feeder ride – riders are advised to ensure that their bike is roadworthy and to bring a drink. We hope you can join us for Lambeth Cyclists' meeting this evening (16 July 2013) 7:30pm at the Effra Social. We are likely to be at one of the tables at the front of the pub, ask if you cant see us! The first part of the meeting will be business looking at latest developments in cycling in the borough followed from approximately 8:30 onwards by drinks in the bar - it would be great to see you for all or just the second part of the meeting.